Not sure what your living arrangements are? Guildford is home to many properties available for student let. If you haven't already found off-site accommodation and are looking for help and advice, explore our lettings site or alternatively contact our lettings team: usl@surrey.ac.uk. We offer several types of on-campus accommodation. Find out about these and the moving in process by reading on. If you’re looking to live off campus, Guildford is home to many properties available for student let. If you haven't already found off-site accommodation and are looking for help and advice, explore our lettings site or alternatively contact our lettings team by emailing usl@surrey.ac.uk. Made arrangements to live off campus. Thinking of living on campus? Find out about our on-site accommodation and the moving in process by reading on. We have more than 5,000 rooms available to students, all located within easy reach of campus and Guildford town centre. Our student accommodation puts you at the heart of the action and is a great way of meeting other students across a range of courses. As an exchange student, you may apply if you are only staying for a shorter period, but accommodation is not guaranteed. See our allocation policy for full terms and conditions. If you haven’t applied for your accommodation yet, there’s no time like the present. We have a wide choice of accommodation available to suit different budgets. Once you've done your research and found the right type of accommodation for you, you can apply indicating your preferences based on price band. If you’re looking to live off campus, please contact our Lettings team usl@surrey.ac.uk who will be happy to help. Students with special requirements will be offered appropriate accommodation depending on recommendations received each year from the Additional Learning Support team. As a first-year undergraduate student who applied for an undergraduate course at the University of Surrey, you are guaranteed a place in student accommodation if you apply for accommodation by 25 July 2018 and met the conditions of your formal offer by 25 August 2018. See our allocation policy for full terms and conditions. As a new postgraduate student, paying overseas fees, who is new to the University, you are guaranteed a place in student accommodation if you have applied for accommodation, met the conditions of your formal offer and the University is in receipt of the requested academic fee deposit by 1 August 2018. See our allocation policy for full terms and conditions. New postgraduate students, paying UK / EU fees, can apply for accommodation, but are not guaranteed. You will receive a confirmation email within four hours of confirming your application. Eligible students who have applied for accommodation will receive an allocation email by the end of August. Met the conditions of their formal academic offer by the 25 August 2018, will receive their offer of accommodation within one week of A-level results. The University is in receipt of the requested academic fee deposit. Your invoice will be sent to your university email account within 14 days after the start of your contract, so make sure you have a live University IT account. You’ll then need to keep an eye on your email inbox and – just in case – check your junk folder from time to time. 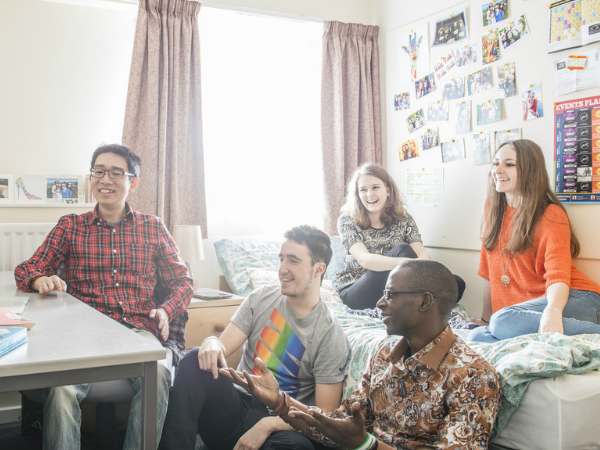 If you applied for your academic course at the University of Surrey before 7 August, you are guaranteed a place in student accommodation if you apply for accommodation by 25 July 2018 and met the conditions of your formal offer by 25 August 2018. See our allocation policy for full terms and conditions. If you haven’t applied for your accommodation yet, there’s no time like the present. We have a wide choice of accommodation available to suit different budgets. Once you've done your research and found the right type of accommodation for you, you can apply indicating your preferences based on price band. Accept your University accommodation offer and sign your contract. Most students will arrive over the weekend of 22 – 23 September 2018. It’s exciting to welcome all our new students to the University, but it can get busy so it helps to be prepared. Here are our moving-in recommendations to make sure things run smoothly. You need to book an arrival slot if you are moving into University accommodation and arriving by car on Saturday 22 or Sunday 23 September 2018. You’ll be able to do this via the accommodation online induction programme, after 1 September 2018, you must have formally accepted your accommodation offer and made your pre-payment. You will be contacted by our Accommodation Services team at a later date with details of how you log on and how to complete your online induction. If you have any problems logging on, please contact accommodation@surrey.ac.uk. We ask all those arriving to stick to their arrival slot, to help minimise waiting time and help everyone have a positive moving in experience. Moving countries at the same time as moving into University accommodation can be daunting, so it makes sense to get prepared. Why not take advantage of our International Meet and Greet service and our International Student Orientation programme? That way, you’ll arrive and get settled in before official moving in weekend (22 to 23 September), when the majority of students get here and campus becomes much busier. Erasmus+ and international exchange students should arrive at the University on Wednesday 20 September. The ideal time to arrive is between 9am and 5pm, when the Accommodation Services team will be handing out room keys at your key-collection point and student helpers and minibuses will available to take you to your accommodation. Before or after these hours, room keys can be collected from the campus Security Office on the ground floor of Senate House for Stag Hill and Hazel Farm residents and from Manor Park reception for Manor Park residents. If you are arriving by public transport, you don't need to book an arrival slot and you can collect your key at any time from 8am on Saturday 22 September 2018. We will provide minibuses from the railway station to all accommodation sites from 9:30am to 4:30pm on both 22 and 23 September. If you are arriving outside of these times, there are good bus and train links to the University. If you are making your own way to the University outside of moving in weekend (22 to 23 September), there are good bus and train links to the University. As a student living in University accommodation, you'll need bedding and some kitchen equipment as well as clothes and toiletries. You'll also need to have the relevant documents to hand when arriving on campus and during registration. When you are coming to the UK for a year or more, you may find it hard to decide what to pack. You will want to bring everything, ‘just in case’, but remember: you will have to carry your bags! While you'll want to have your home comforts around you, storage space is limited. To get an idea of the accommodation environment and what you'll need to bring, you might find it useful to take a look at the floor plans and photos on the Accommodation website. Your kitchen is equipped with a cooker, fridge, freezer, microwave, toaster, kettle, tables, chairs and storage space. Packing the right things can be a challenge, so we've put together a packing checklist (PDF) to help you decide what to bring. For our advice on what to bring, visit our International pre-departure guide. Have photo ID with you – either your driving licence, passport or similar. There will be lots of friendly staff on hand to help you from 8am to 10pm on Saturday 22 and 10am to 4pm Sunday 23 September. Sunday morning is generally the quietest time to arrive, and sticking to your pre-booked arrival slot will also help to speed up the process. Look out for our Freshers’ Angels – you won’t be able to miss them! Every year, these students volunteer to get dressed up and greet our newest arrivals with a smiling face, just like the Angels who welcomed them when they were Freshers. They’ll even help you to carry your belongings to your room. They know all about being a student here, so say hello and have a chat. You should also meet your Court Life Mentor, who will be on-hand throughout the year to help you make the most of living in courts. Take your room confirmation letter to the Austin Pearce building to collect your key. The Austin Pearce building is directly opposite the main car park across the piazza. Once you've unloaded, drive to the campus car parks where you can park for free on the day you move in, but please note that your car must be removed by 11pm at the latest. Once you’ve unloaded, take your vehicle to the temporary parking (which will be signposted), but please note that your car must be removed by 11pm at the latest. Don't forget that a free bus pass is supplied to Hazel Farm residents! Keys will be available for collection until 10pm on Saturday 22 September and 4pm on Sunday 23 September by going directly to the Austin Pearce building. Outside of these times you’ll need to report to the Security Office, Senate House. Keys will be available from the Manor Park Reception from 8am and 11pm on 22 and 23 September. After these times, please call security on +44 (0)1483 68 2002. They will issue the keys to you. Please note, if you arrive out of hours you may have to wait at Manor Park for a member of security staff to return from patrol. Keys will be available for collection between 8am and 4pm on Saturday 22 September and 10am and 2pm on Sunday 23 September. If you intend to arrive outside of these times, please let us know in advance so that we can make the necessary arrangements. If you are unexpectedly delayed, please contact Security who’ll assist you with your arrangements, Security can be contacted on +44 (0)1483 68 2002. Register for our Meet and Greet and International Student Orientation programmes and we will ensure that you have a friendly face to greet you at the airport when you arrive and help you to settle into your accommodation. For further information, visit our International pre-departure guide. Battersea Reception: 8am–11pm covering Battersea Court and Surrey Court. All other receptions: 8am to 12 noon. Outside of these times, a Security Officer is on duty at Manor Park Reception who will issue keys and assist you, but please be aware that they patrol the complex so you may have to wait for them to return. Arriving whilst the receptions are open may make moving into your room quicker. Outside these opening times, keys for expected arrivals can be collected from the Security Office in Senate House, which is staffed at all times. To arrange collecting your key from the Security Office, please use the contact form on the Accommodation website. Once you've unpacked, one of the first things you'll probably want to do is to get online. You can do this from your own computer by connecting to ResNet – the 'residences network'. Before you can start using ResNet you will need to make sure you have completed the registration process so it’s a good idea to do this before your move in date so you can plug in your device and start using the Internet as soon as you arrive. There are two levels of ResNet service available to students, ResNet Wired and ResNet Wireless, both of which have been specifically designed to meet the needs of Surrey Residents. The ResNet Wired service offers fast wired internet access for one device only. You'll find a connection point to ResNet Wired in your room or flat. You’ll need a standard internet connection cable – just plug in and go. ResNet Wireless offers fast and easy wireless internet access for several devices at once. The ResNet Wi-Fi Kit (which will be waiting for you in your room on arrival) has everything you need to get started, including a wireless router with two wired ports and a quick-start guide. As the device is pre-configured, all you will need to do is plug it in and start using the internet. Getting online should be really easy, but if you do have problems connecting you can request a visit from a ResNet adviser. Book an appointment via your Court Reception (if you live in Hazel Farm you will need to call +44 (0)1483 689898), or you can pop along to the IT Service Desk on the first floor of the Library. On Sunday 23 September, be sure to attend your ‘Welcome to Accommodation’ talk, delivered by your wardens and mentors. The talk is mandatory, and covers important information on how life in residences works at Surrey. It’s also a great opportunity to meet your neighbours for the first time. Our friendly Student Life Mentors will be also giving guided tours of the local area that day for any new students who want to meet others and get to know their new campus. 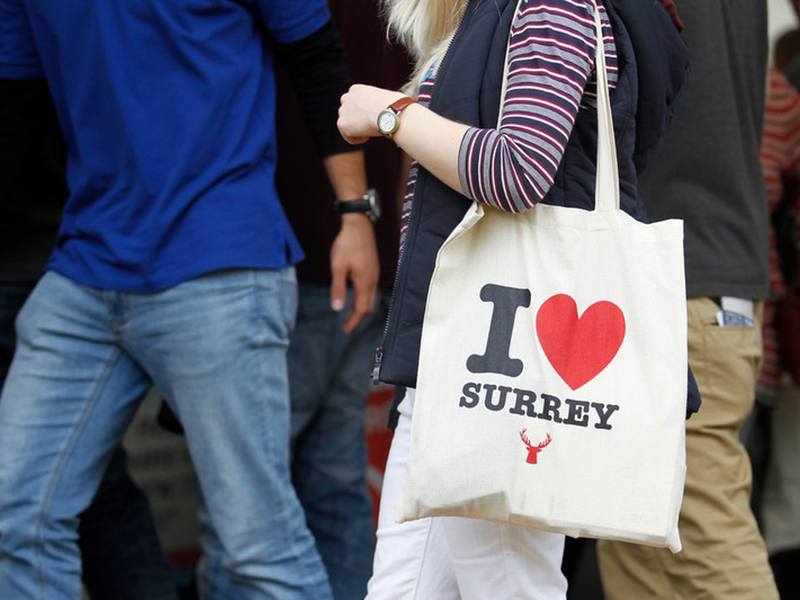 Mentors are current students and as such have lots of local knowledge, hints and tips to help you settle in at Surrey. Check your Welcome Week timetable for details of the times for your court. Taking place in the Piazza area, the Freshers' Fayre is open on Sunday 23 September and is the perfect chance to start meeting your fellow students and getting involved in campus life. You can visit information stands staffed by some of our accommodation service providers and browse stalls selling market produce. Film viewing and free pool in the Green Room. Opening hours 8:30am – 9am. Free pool after key collection ends. Coffee tasting at 10am and 3pm.